This weekend 55 teams will converge on the South Australian township of Millicent for the Teagle Excavations ARB Pines Enduro 400. The sixth and final round of the 2018 ARB Off Road Racing Championship will see teams tackle the Teagle’s Quarry amphitheatre and Tantanoola Pine Forest, with the event promising to provide enthralling racing action throughout the weekend. Teams will complete over 400km of racing over the weekend on a course that includes a combination of the heavy sanded and tight forest tracks, straight-line runs down white metal council roads and jumps in the spectator arena at Teagle’s Quarry. The Pines Enduro plays host to the final round of the prestigious ARB Australian Off Road Racing Championship, which is won through perseverance and consistency – with four of the rounds counted at seasons end. Current outright and Class 1 championship leader Brent Martin #120 all but has his respective titles wrapped up after a super impressive season to date; fresh off his third outright finish at Goondiwindi he will be looking to finish 2018 on the highest note. The experienced Class 5 stalwart Bernie Clohesy #570 has been near flawless in 2018. Already assured of his class championship, Clohesy remains in second outright after a strong performance in Queensland. Paul Grant #405 kept his outright podium chances alive with a determined finish at the last round. Sitting third outright heading into the weekend, Grant will be looking to hold off fellow Class 4 competitor John Smith #445 in the championship battle which is likely to go down to the last lap. With the top nine crews entered for the Pines, the likes of Brett Smith #161, Dean Meginley #1087, John Smith #445, Rhett Standen #225, Daniel Wells #201 and Stephen Watkins #501 are all well within reach of an outright championship podium position if things fall their way. Defending ARB Champion and last round victor Danny Brown #1 will line up once again at the Pines in his unlimited class Alumi Craft. Brown will do battle with an array of outright contenders including his father Andy #45 who is fresh off a second outright at Goondiwindi, last year’s Pines Enduro champion Tyler Owen #41, 2016 champion and last year’s hard charging runner up Matt Hanson #7, Australian Hall of Fame inductee Mark Burrows #21 will be out to improve on his fifth outright in 2017 in his Jimco, whilst Dale Martin #25 will take the step up to his father’s Alpha for the final event of the season and will be one to watch come Sunday. Brent Martin #120 will lead out the Class 1 machines, though with the likes of Sea Lake champion Cameron McClelland #154, Brett Smith #161, David Middlemiss #117 and the experienced Lindsay Foster #178 in the field, it would not be a surprise to see a podium spot filled by this class. Class 10 will also be on pace with the outright runners as Dean Meginley #1087 will look to close out his ARB class championship with a Pines victory. 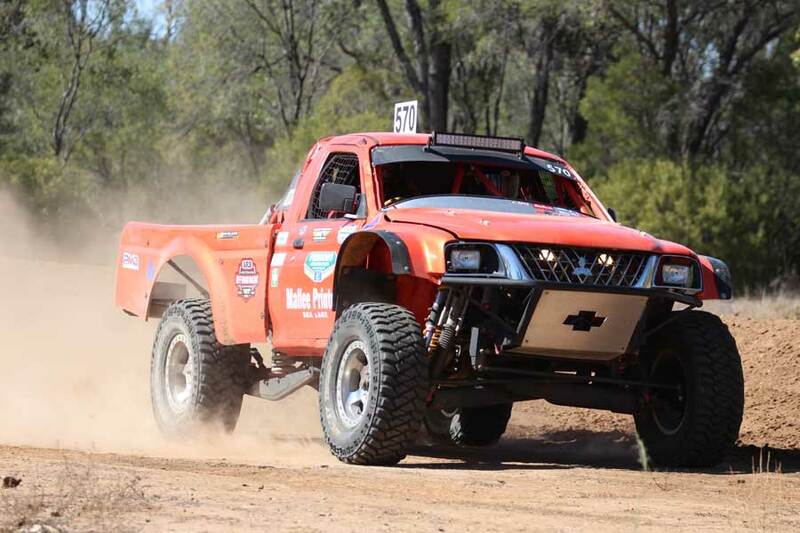 Defending class 2 ARB champion Daniel Wells #201, who currently sits a narrow second in the 2018 class battle after a disappointing finish at Goondiwindi. Wells will line up beside current class leader Rhett Standen #225 who put in a blinding eighth outright at Goondiwindi; others to watch out for include local Aaron Heemskerk #229 and Tyson Proud #282. 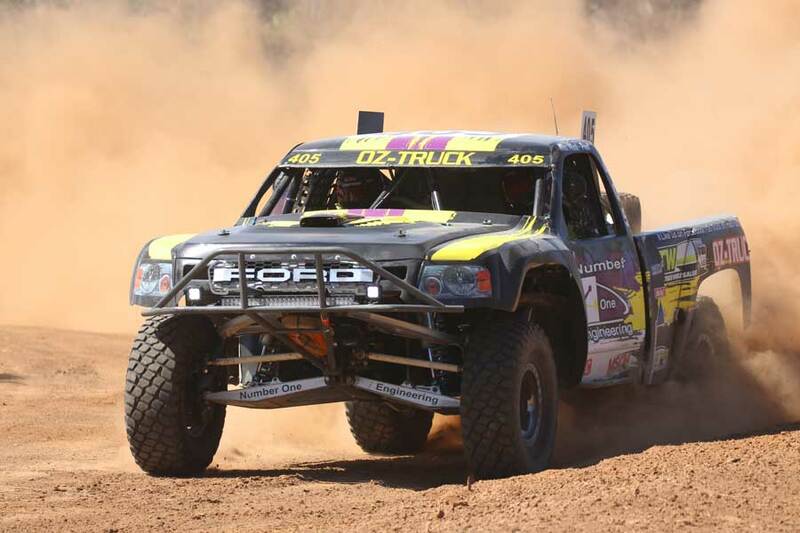 The highly entertaining class 4 trophy trucks are set to entertain the crowds once again, with class leader Paul Grant joined by the aggressive and outright threat of Greg Gartner #410 after his outright win at round 4 at Waikerie, Damien Nicol #430 and John Smith #445 amongst others. Tasmania's Stephen Watkins #501 and Chris Pickert #577 are set to be Bernie Clohesy's biggest challengers in Class 5. The ever popular class 6 field is one to watch over the weekend, with David Loughnan #611 leading the ARB Australian Off Road Racing Championship for Class 6; he will do battle with current second place sitter Scott Tymkin #647, Brett Harris #696, Adam Bierl #666 and Steven MacGregor #626 who stand as the biggest threats. Queenslander Jason Keane #722 leads out the class 7 contingent with the championship lead which features Jason Forssman #774 close behind in second. Owen Ward #801 headlines the Class 8 crews, alongside the return of Luke Hall #810 in his trusty old Nissan Patrol, John Alfred #819 and James Tyrrell #828. Will they hold their position at the end of this weekend in Millicent? 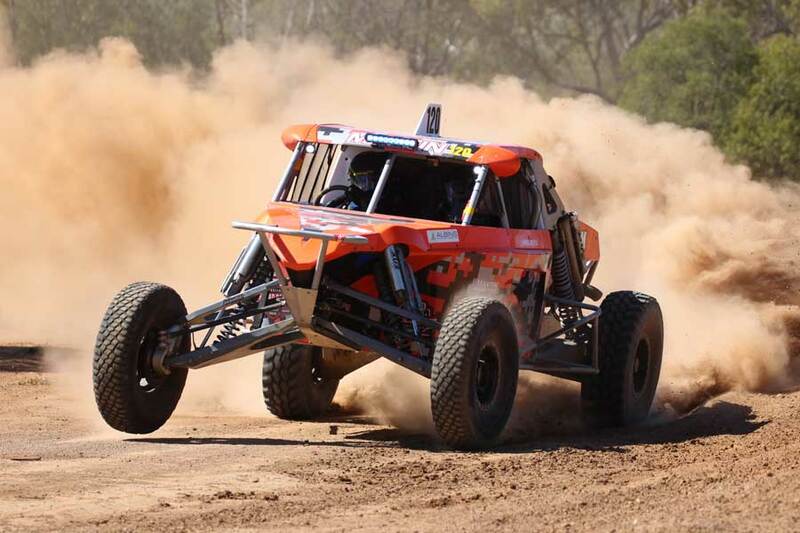 With ARB Australian Off Road Racing Championships on the line at the Pines, as well as the event title for the taking, the sixth and final chapter of 2018 poses as one of the best yet! Stay up to date with live results across the weekend on offroadracing.com.au, and for more details check out the Facebook page Teagle Excavations ARB Pines Enduro 400.